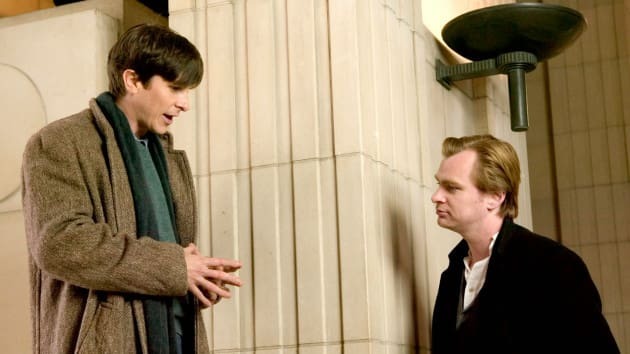 Christopher Nolan and Christian Bale on the set of Batman Begins. It was their first of three Dark Knight movies. Alfred Pennyworth: Why bats, sir? Bruce Wayne: Bats frighten me. It's time my enemies share my dread. Ignorance is bliss, my friend. Don't burden yourself with the secrets of scary people. Batman v Superman Trailer: Who's YOUR Hero?! Batman v Superman Dawn of Justice Trailer: Do You Bleed? Batman v Superman Dawn of Justice Teaser Trailer: Suit Up!